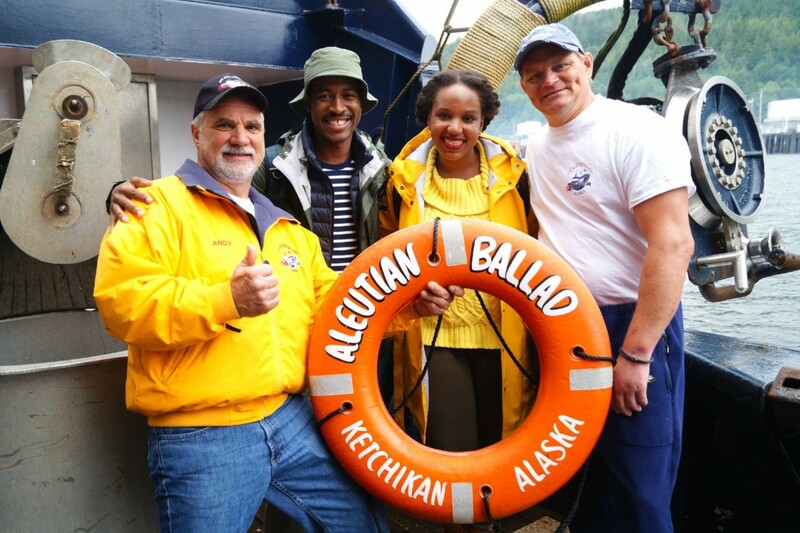 Last month, Eric and I had one of our most fun and adventurous vacations to date: a 7-day Alaskan cruise, followed by a few days in Denali National Park. 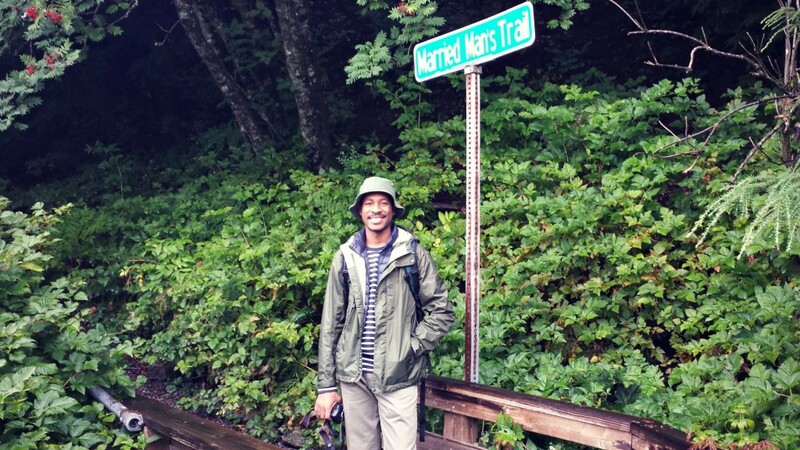 Join me over the next few days as I recount those memories and share with you my Alaska Travel Diary. 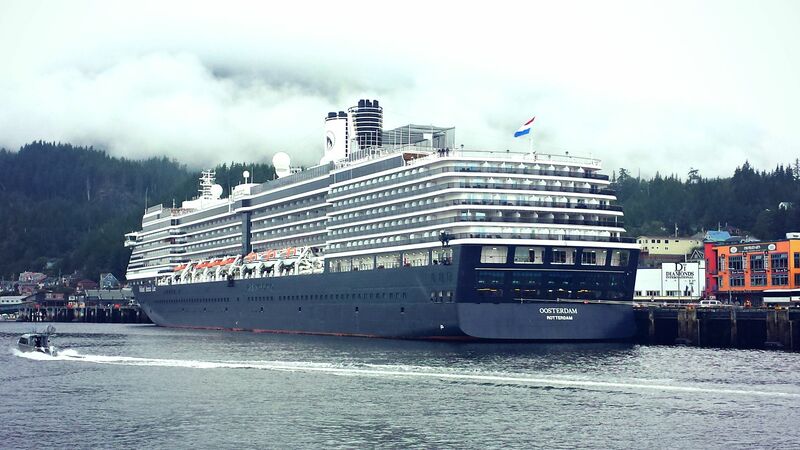 After embarking on Holland America’s Oosterdam in Vancouver, we spent a relaxing day at sea sailing towards the Inside Passage. After this much needed day of rest, we were super amped and ready to reach our first port of call: Ketchikan, AK! 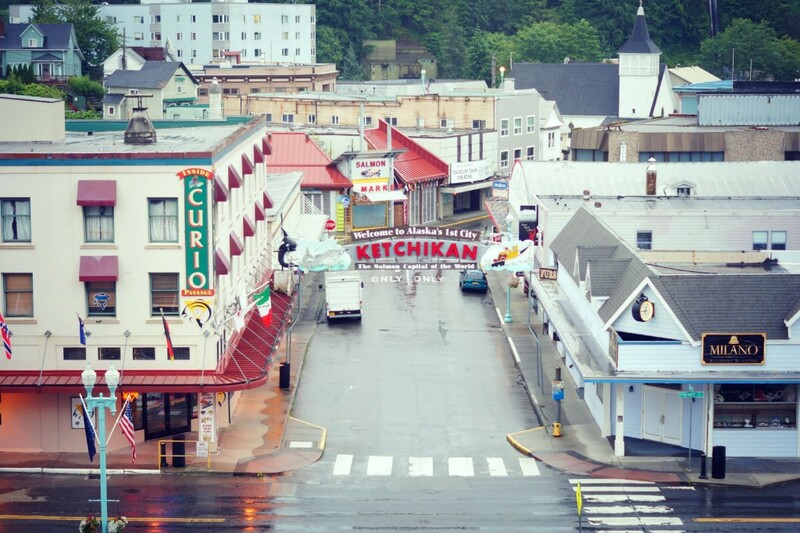 I knew we were pretty much guaranteed rain in Ketchikan (the average rainfall is 152 inches per year, while the US average overall is 37 inches! ), so I happily broke out my new rain jacket and bean boots. 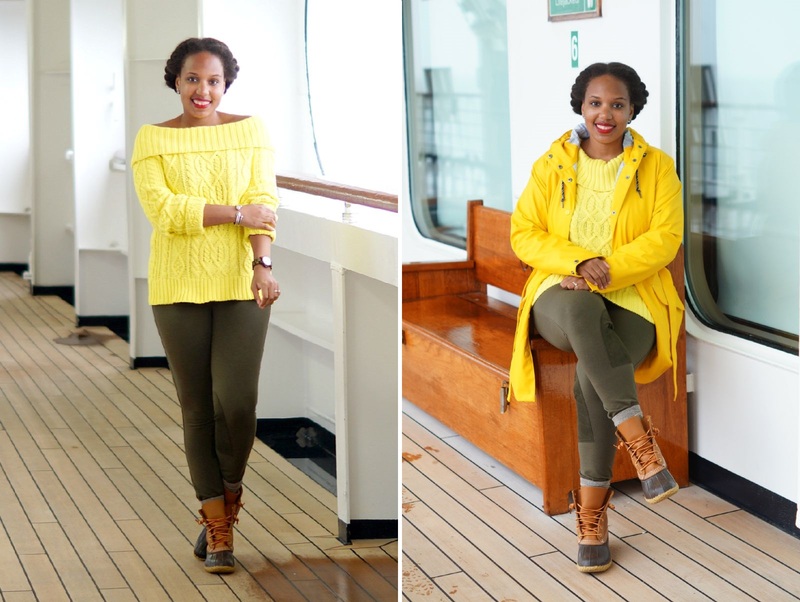 It’s hard to believe that just two days earlier, I was in sandals and sundresses! 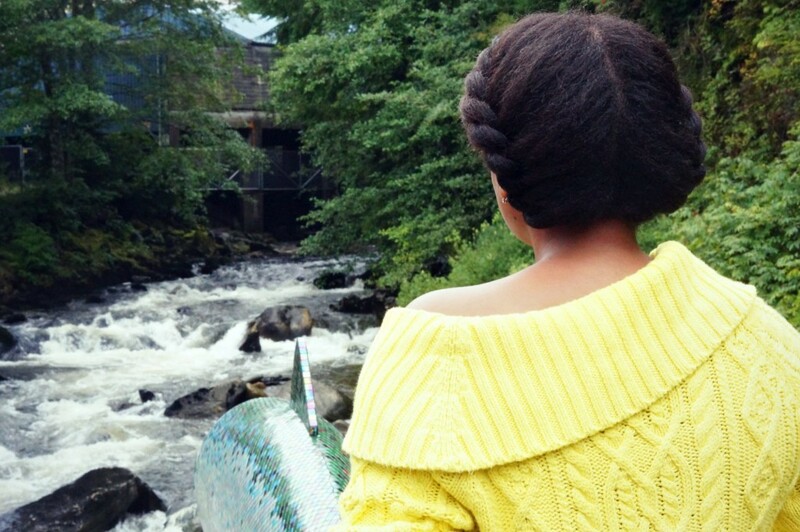 Since Ketchikan is known as the salmon capital of the world, I also thought it would be fun to don my fisherman sweater in honor of the occasion. We arrived at 6am, and our ship was first in port that day which meant the streets were nearly empty upon our arrival. The town was slowly coming to life as we left the ship, but we enjoyed our first peaceful moments among these tranquil views. 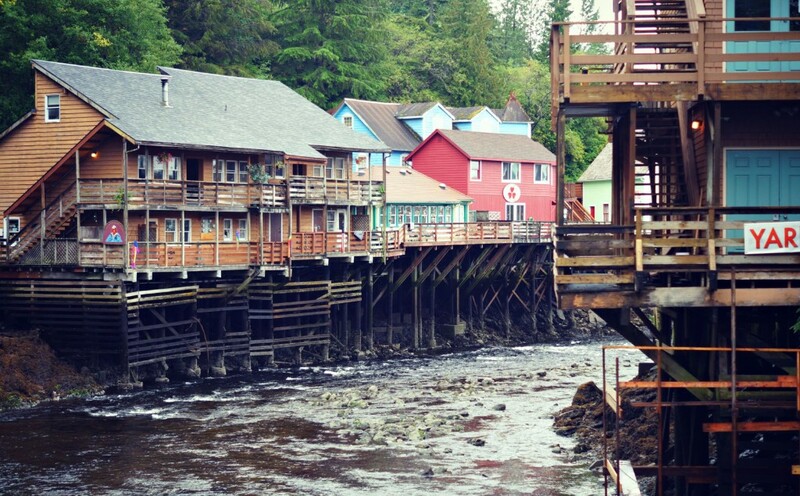 The weather was quintessential Ketchikan that day: slightly cool with a gentle mist in the air. 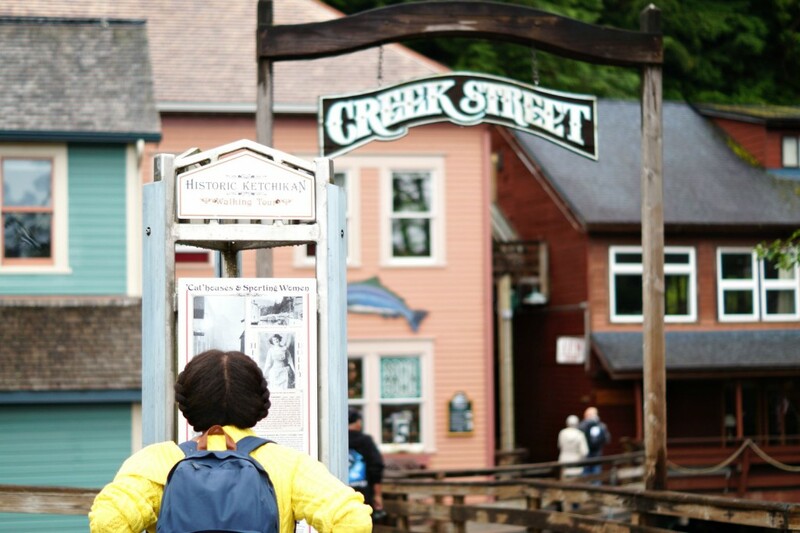 Our first destination was Creek Steet, a historic boardwalk along the banks of Ketchikan Creek and former red light district. We stopped along the way to watch a few salmon swim upstream to spawn. We also poked around a few shops, sampling salmon and testing out a few ulu knives while we were at it. After doing a bit of sightseeing on our own, we headed back to port to board the Aleutian Ballad and take part in one of our favorite excursions of the whole trip: The Bering Sea Crab Fishermen’s Tour! I hemmed and hawed about taking this tour until about 2 days before our trip, but after reading one raving review after the other (seriously, I was starting to wonder if they were all fake), I finally bit the bullet and booked it. Luckily, this turned out to be an incredibly wise decision. The crew were so inviting and excited to have us on board to teach us all about their craft and tell stories about their exploits on the high seas. If you’ve ever seen the show Deadliest Catch (I watched a few episodes on Netflix before our trip to get myself acquainted), then you may recognize these two gentlemen from the show. 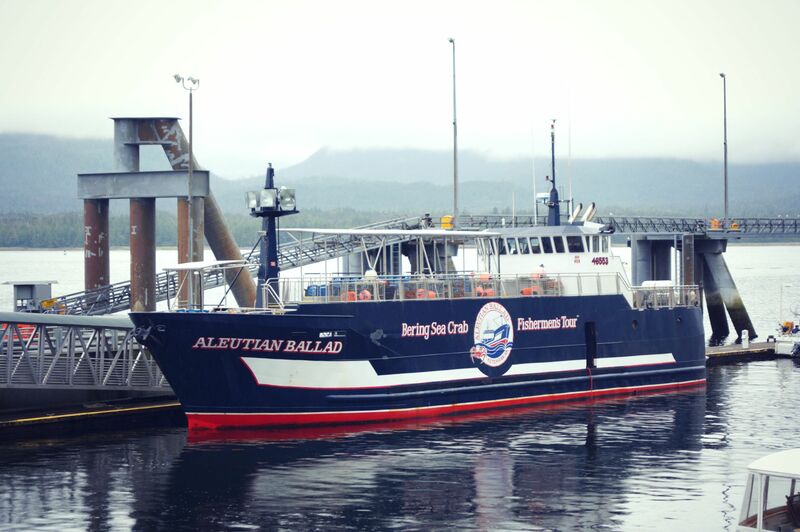 The Aleutian Ballad’s claim to fame came when a massive rogue wave the size of a 5-story buliding sideswept the boat and flipped it completely on its side. 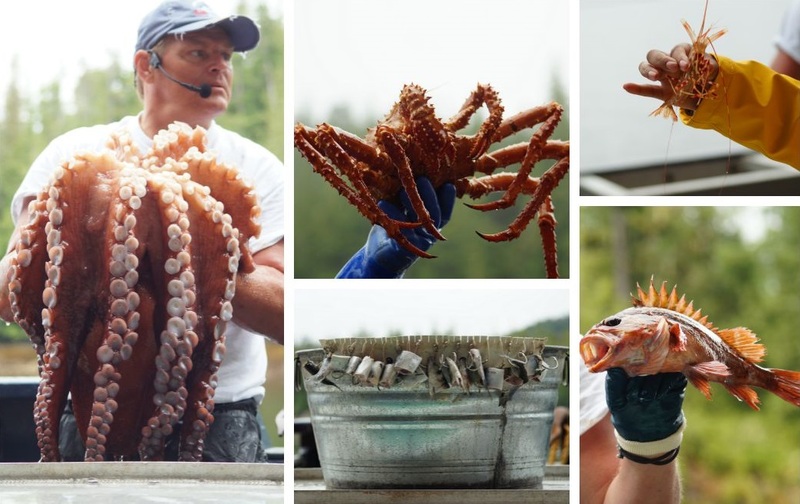 The entire event was caught on camera during filming of Deadliest Catch (you can view it here), but luckily the crew was safe and the ship was salvaged and refitted as a touring boat and learning center. As we set off on our journey, the crew stopped for a bit to let us get up close and personal with the eagles in the area. 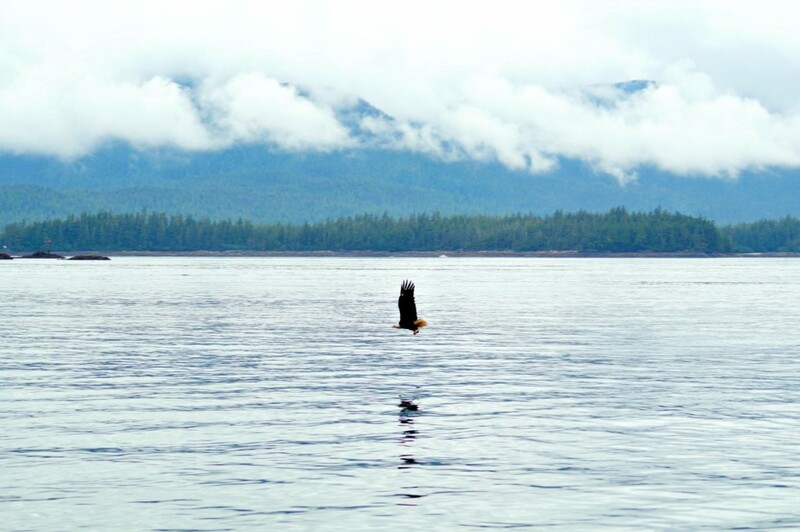 They dropped several pieces of fish into the water just off the boat so that the eagles could swoop down and catch it right in front of us. 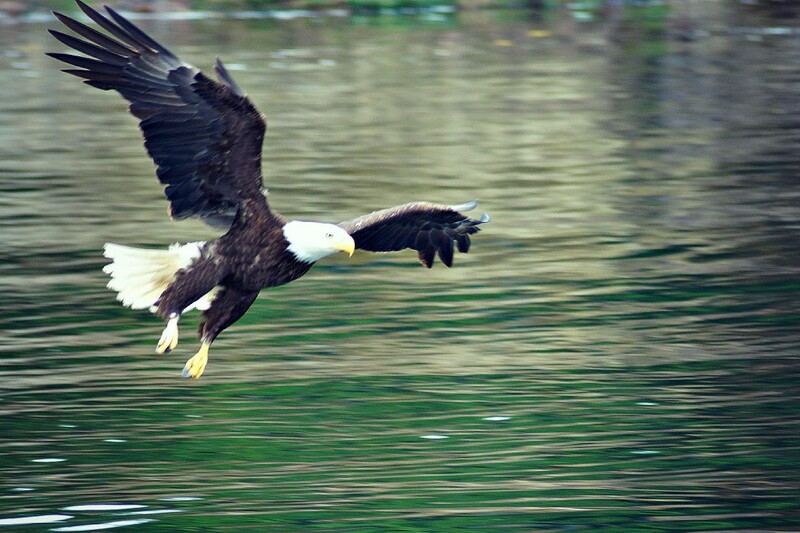 I’d never seen a bald eagle so close before and was amazed at how majestic they are in person. They’re also REALLY hard to shoot on a regular camera! These were the best two shots I was able to get after at least a hundred tries, so finally I just set the camera down and simply enjoyed the amazing scene taking place in front of me. Such was the case with many of my experiences in Alaska. As hard as I tried, there was just no way to fully capture the stunning natural beauty that surrounded us during our stay. 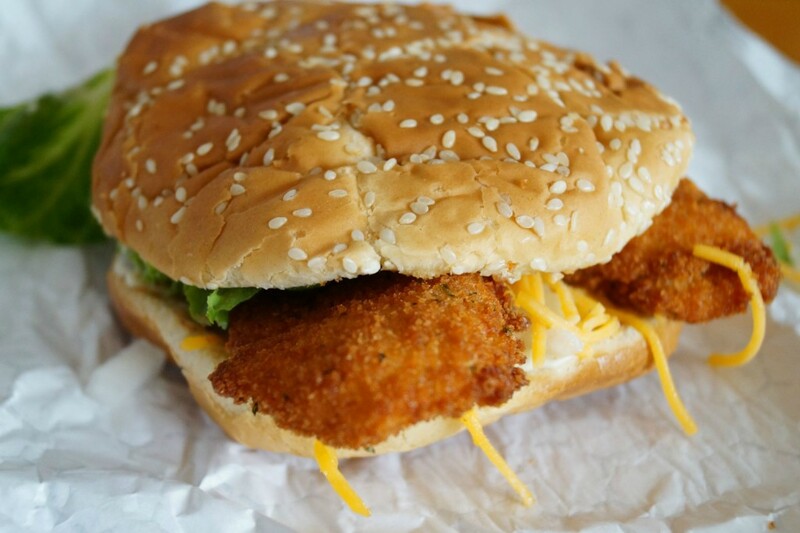 But I was able to satisfy my craving with a delicious fried halibut sandwich from Burger Queen. Eric got the bacon cheeseburger, and we were both extremely satisfied with our meals. I highly recommend making a pit stop here if you’re ever in the area. Just keep in mind that everything is made fresh to order, and the wait can be up to 40 minutes. But trust me, it’s worth it. Shortly after our meal, it was time to head back to the ship. 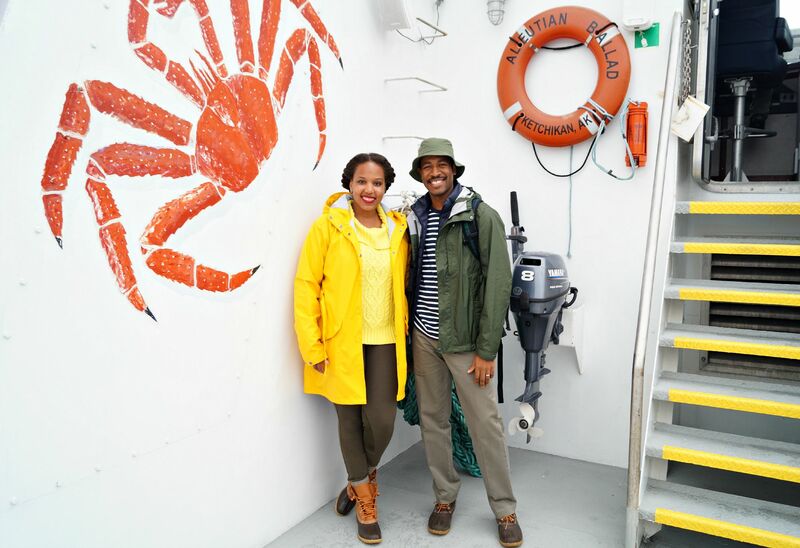 Eric and I agreed that our first day in Alaska was amazing. But little did we know, the best was yet to come! 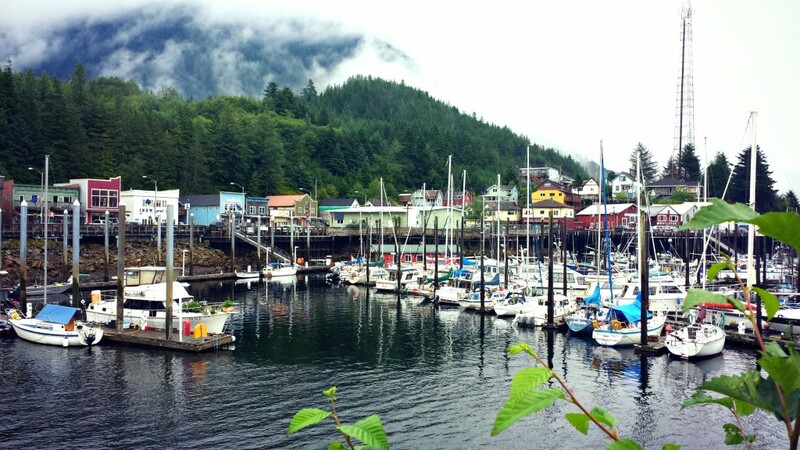 Stay tuned for the next stop in my Alaska Travel Diary: Juneau!